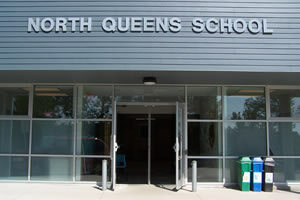 Heather and I went to North Queens School in Caledonia last week. She read my Thank You letter to grades Primary through 4. We talked about balloons, and colors, and most of all , about writing stories. Heather left students with some activities to do and balloons to color. Heather read some manuscripts of stories that she hopes will some day be published like Melvin's Balloon's. Sometimes a story sounds better in your head than it does to read it out loud. It's always fun to try it out with friends! Thanks for listening North Queens!